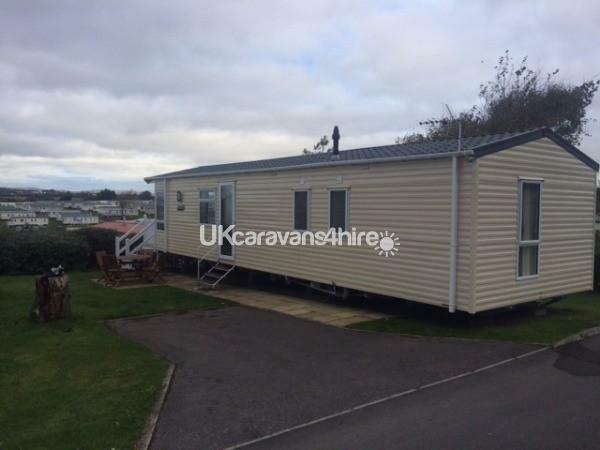 2017 model Willerby Aspen 2 bedroom holiday home which has gas central heating and double glazing is located in Chickerell View on Littlesea Holiday Park which overlooks the Fleet Lagoon and Chesil beach. 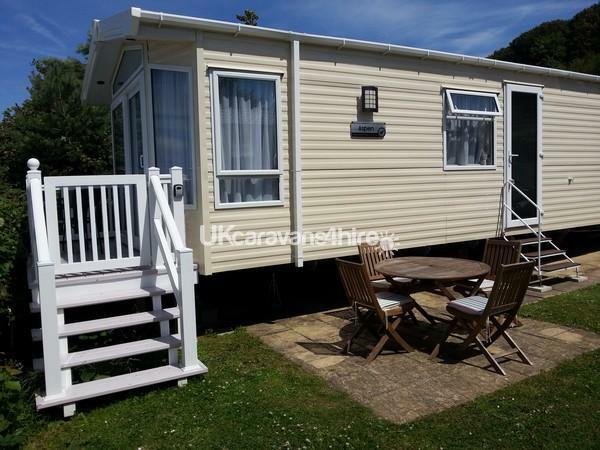 The pitch is at the end of a row and surrounded by hedges on one side which allows privacy; there is also a private tarmac parking space next to the caravan and garden/patio area with a table and chairs. The light spacious lounge has a sliding patio door which allows access to a veranda which has a small table and two chairs where you can admire the lovely sea views and beautiful sunsets. The generous free standing lounge furniture has an L shaped sofa which incorporates a double sofa bed and two bucket chairs. There is a feature fire place and 40 inch TV with Blue Ray DVD player and an integrated MP3 sound system. The well equipped shaker style cream kitchen has a full size fridge/freezer/gas oven/grill/hob/dishwasher and kettle, toaster and microwave. A hoover, cleaning equipment and an iron and ironing board are also provided. The dining area has a free standing table and 4 chairs. The spacious master bedroom has a king size bed with mirrored double wardrobe and large dressing table, an alarm clock radio, hair dryer and 24" wall mounted TV. The en-suite contains shower, WC, hand basin and electric shaver point. The second bedroom has 2 wider than average caravan single beds (one is 3 foot wide the other slightly narrower) wardrobe and over bed storage. 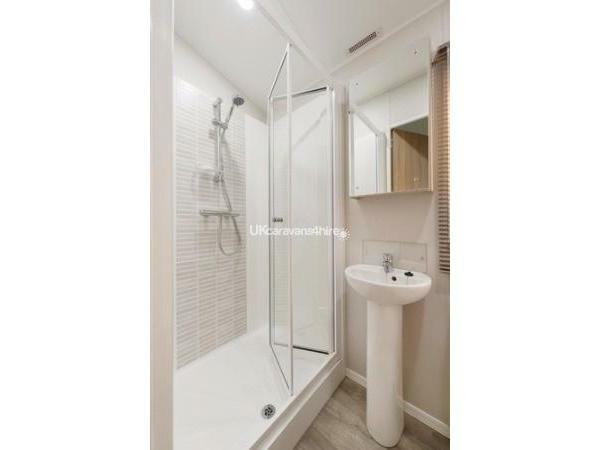 The family shower room has good size shower enclosure, WC and basin set within a vanity unit, storage cupboards and electric shaver point. Duvets and pillows are provided but you will need to bring your own bed linen and towels. Park passes are not included in the rental price but can be purchased from reception: these allow access to the swimming pools and entertainment complex. Should you require a short break i.e. 3 or 4 days, please enquire and I will check availability and provide a price. 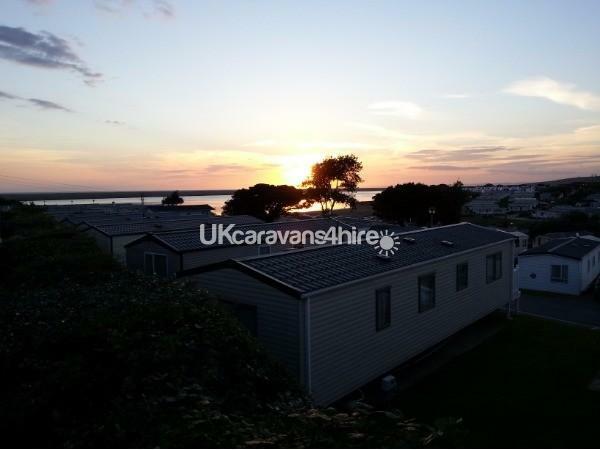 Littlesea is a 5 star Haven Holiday Park is located right on the coastal path and just a short car or bus journey to the town centre of Weymouth and blue flag beech. There are many beautiful locations and attractions within a few miles of the park. We have just returned home from a wonderful week at littlesea. The caravan is beautiful, modern and very clean. It has everything you could possibly need. 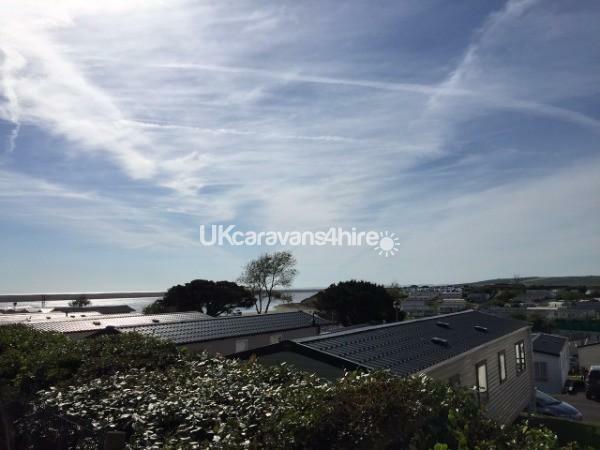 The location of the caravan on the site is fab with amazing views of the lagoon. Sue was extremely helpful from start to finish. The information pack we received prior to the holiday came in very handy as it included instructions for the boiler, appliances and a map of the site. We will definitely be booking again for next year. What a beautiful caravan! It had everything you needed and a lovely location. The customer service from Sue was amazing, very attentive. We would definitely recommend a stay. Thanks again! The caravan is brilliant and compliments the fantastic views from a perfect location. The beds were very comfortable and all of the facilities provided were most welcome. This is the second time we have booked with Sue, and again found the whole experience faultless and a pleasure. The top ratings I have given are well deserved. Thanks again Sue for allowing us to use your beautiful caravan. We all had a wonderful stay in your lovely caravan , fantastic views lovely weather, would truly recommend, thank you Sue. We had a fantastic time staying in Sue's caravan! 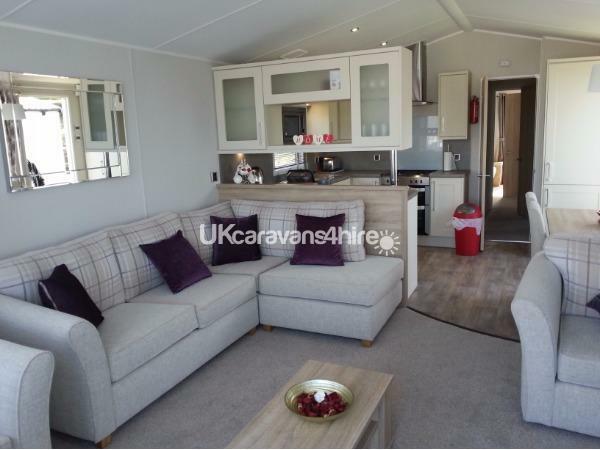 The facilities in the caravan included so many extras such as a dishwasher, an ensuite shower, TV in the master bedroom. The accommodation is immaculate and in a great location within the park grounds too, especially when having children who need peace and quiet to sleep at night. Sue was so helpful each time we contacted her and she really did make us feel like we were welcome to use her caravan. We can't wait to return again next year! Thank you Phillipa & Kev for leaving your positive feedback; so glad you and your family enjoyed your stay and we look forward to welcoming you next year. Superb!!!! We stayed for the halfterm week and loved everything about this caravan. It is modern, clean, well equipped and has a fabulous pitch with fantastic views. We have used littlesea 8 times now and this is by far the best caravan we have stayed in. We will not hesitate to use again. The communication through the booking process is also 10 out of 10. Cant fault anything Thank You Sue . Absolutely perfect. I've stayed in many caravans (my first visit to Littlesea was 35 years ago...), and this is by far the best caravan I've been in. It has EVERYTHING! Immaculately clean, all mod cons, perfect for our young family. Didn't feel like we were in a caravan actually. Views are amazing and even though we had some rain during our stay, it was fun to go back to and put the kettle on and watch film. Cannot rate this highly enough, and though it was a last minute pre-school getaway, it will now become a family tradition. If you are considering a break to Weymouth, then look no further than this. Thank you Sue. Had a short stay with my family here and really enjoyed it. 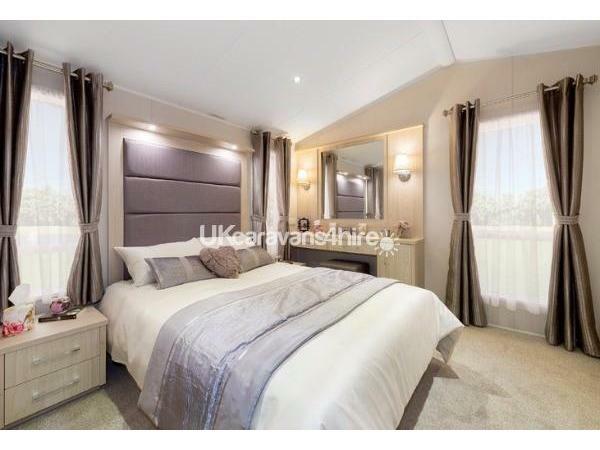 The caravan is beautiful with some great features, fantastic size and beautiful views. I have been holidaying in caravans since I was young and this is the best one I have been in. Would definitely stay again. Absolutely fabulous caravan. We have arrived home and booked for next year. Thank you for your review Tracy; so glad you enjoyed your stay and we look forward to welcoming you and your family next Summer. Kind regards Sue. Had a fab week in Sues beautiful ultra modern caravan. Lots of lovely homely touches and everything you need to make your holiday comfortable. Great location, glorious views, sunsets we're stunning, and the park itself is compact and easily accessible. Would definitely recommend. Thank you Sue. What a wonderful caravan. Brand new and by some distance the best we have ever stayed in. Everything was perfect, though hubby wasn't too pleased at having to watch Titanic and Back to the Future again! Couldn't rate the caravan and the booking process any higher. Thank you Sue. We don't normally write reviews but we had such a lovely break we felt the need to write and say how we found sue really friendly. The caravan was spotless and very modern with everything you could possibly need with a fab view. Already booked to return in the Autumn. What a lovely caravan and a lovely lady Sue is. Had a fantastic stay in Sue's mobile, it is a lovely clean and comfortable home from home with everything you could wish for including a dishwasher!! No holiday pot washing. Beautiful location on park with great views over the lagoon. Would definitely recommend. We had a fabulous time in Sues caravan. It is beautiful, modern and clean with everything you need. Lovely situated with stunning views. Sue was very helpful and friendly. Definately consider booking again. We have just returned from a lovely week in Weymonth. WOW! 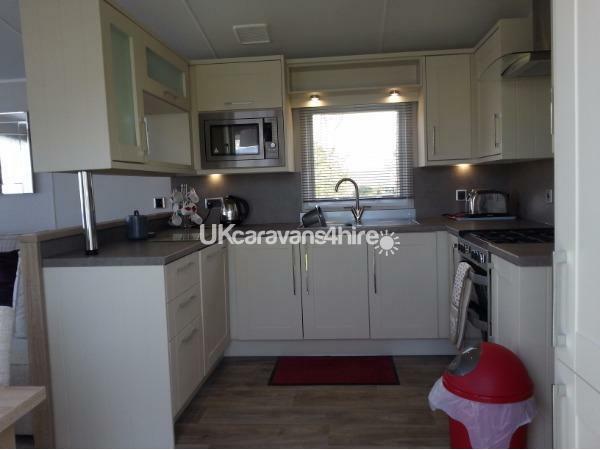 what a truely beautiful caravan, ultra modern and exceptionally clean, the caravan has everything we could ask for and more, the dishwasher was an added bonus. The views from the balcony were stunning especially at sunset. Sue was extreamly helpful and most accommodating throughout the whole booking process. Sue you have a wonderful caravan, we have stayed in many caravans over the years and this one is the best by far and we would defenatly recomend your caravan. We have just returned from a very enjoyable weeks holiday with our 4 year old grandson at Littlesea Caravan Park. 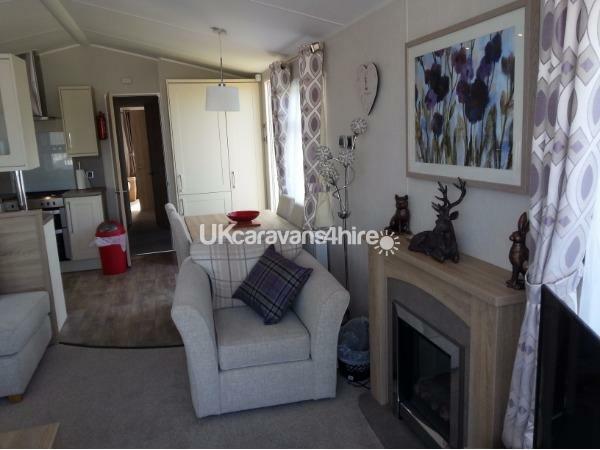 We were very impressed with the quality and facilities of your lovely caravan. It's location on the park is just perfect affording both amazing views and some privacy. It definitely helped make the whole holiday experience a memorable one for us all. Thanks again Sue and for making the booking etc procedures straightforward. Having stayed in many caravans over the years we have no hesitation in recommending your excellent caravan to others. We've just got home from a lovely week in Weymouth. Sue was so helpful when we were booking the caravan, she checked for me that my son's travel cot would fit in the bedroom before we went The caravan itself was lovely, by far the nicest one we've ever stay in. It's got everything you need and feels very homely. Plus the views from the balcony were fantastic. Highly recommended. Thank you Sue. What a lovely caravan had a great time, very comfortable, would defimately stay again. 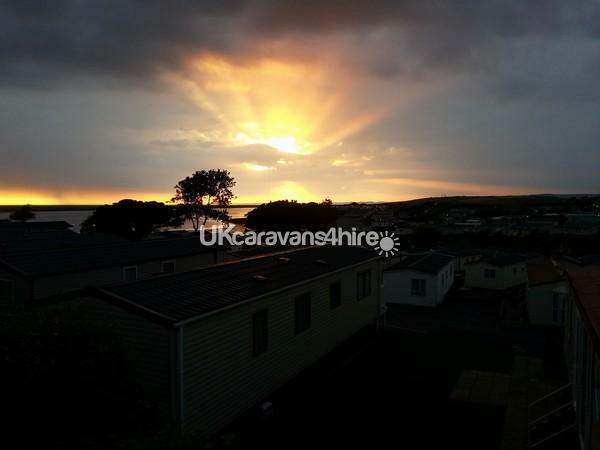 a great caravan, in a good location with good views, will book again. Both of us had a truly wonderful stay at Littlesea Holiday Park. 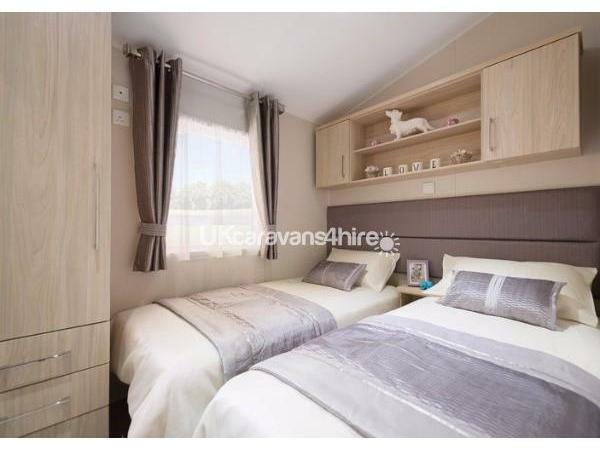 The caravan was faultless had everything we needed and more it was so comfortable and homely. The view from the veranda was fantastic and i captured the most amazing photos. Worth visiting is Lyme Regis, West Bay, Weymouth, Swanage to name a few. We loved our holiday and would definitely recommend this wonderful caravan and holiday park. We had a fantastic few days here location is perfect for every aspect whether going on walks, entertainment or venturing off the site. We would highly recommend hiring this caravan and are looking forward to our next visit. Booking was quick and efficient, caravan was very clean and homely. Would definitely recommend.